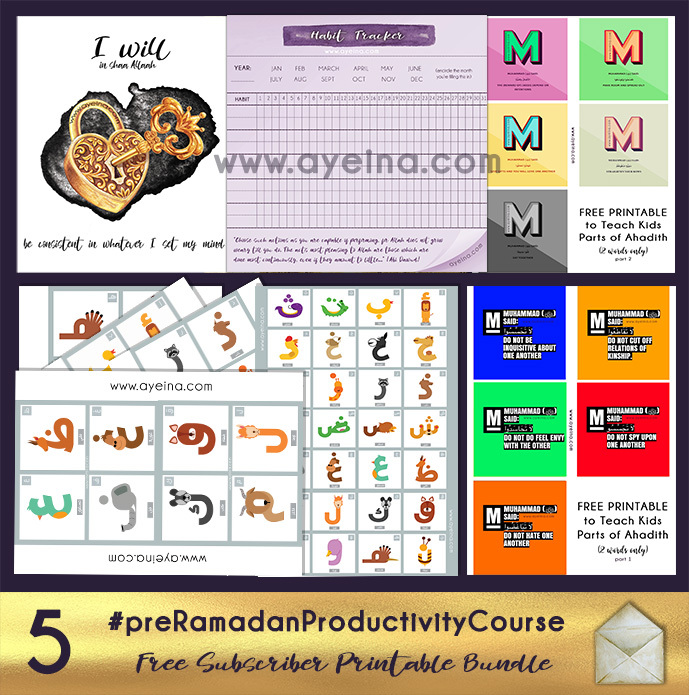 We started this 7 month Pre-Ramadan Productivity Course in the start of October (And if you will be reading this afterwards, this is the 5th month of #preRamadanProductivityCourse – as a detailed guide on the PRODUCTIVITY JOURNAL FOR MUSLIMS – although you can choose any topic in any month or week, this is simply how we did it and we hope that it helps make things more clear and doable for you in shaa Allah). 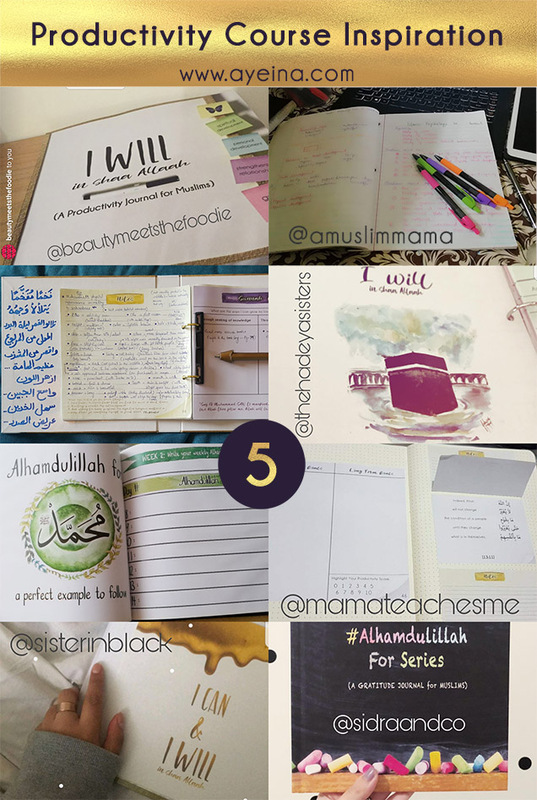 Since we pick out 1 section from each category in the journal each month (we will do this till April 2018 in shaa Allah): 1 from Spiritual Development, 1 from Personal Development, 1 from Strengthening Relationships & 1 from Goals and Dreams – In February 2018, we picked topics of discussion like: Fasting Log (making up your previously missed fasts before Ramadan and warming up for the blessed month through a daily, weekly and monthly plan), Self Care Goals (a daily, weekly and monthly set of goals for self care routine and habits), Sunnah Log (Building our love for Muhammad saws through seeking of knowledge and applying it in our lives) and Skill Development (teaching old skills to others and learning new skills from others). 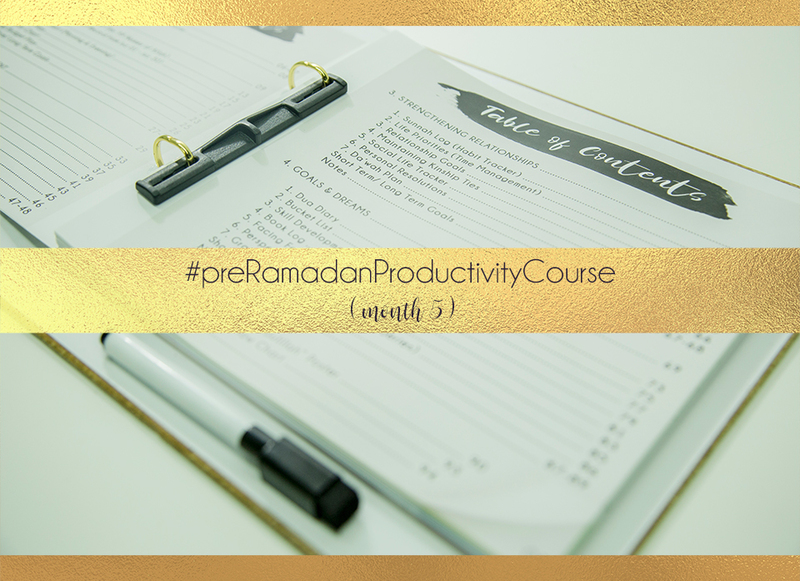 Challenge 1 from *Spiritual Development* was “Fasting Plan” in #PreRamadanProductivityCourse – (making up your previously missed fasts before Ramadan and warming up for the blessed month through a daily, weekly and monthly plan – page 21 on the productivity journal). Do you have any missed fasts from last year or even from before? Since Ramadan is right around the corner, let’s strategise on how we can make up for some of our old fasts before the blessed month knocks our doors… Are there any missed fasts that you can keep weekly? Perhaps monthly? Or any specific time of the year? If you don’t have any missed fasts to cover up Alhamdulillah, then let’s plan on how to warm up for the upcoming Ramadan! 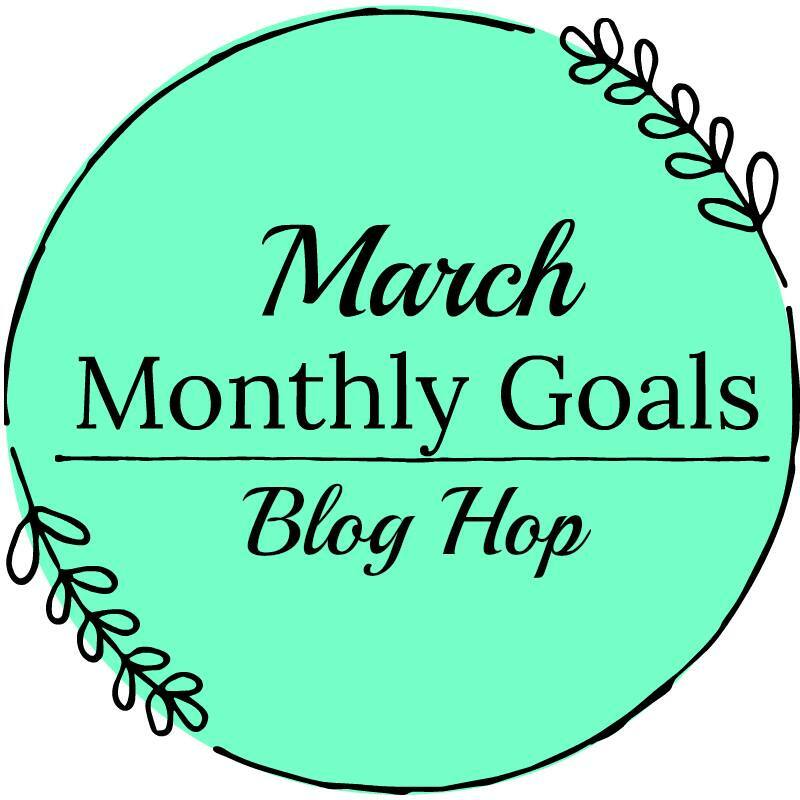 Challenge 2 from *Personal Development* was “Self Care Goals” in #preRamadanProductivityCourse – (a daily, weekly and monthly set of goals for self care routine and habits). I remember when I first became a mother, everyone would say – sleep when the baby sleeps! And that sounded like the most impractical advice because I had DOZENS of other things to do and sleep was hence a last priority. If I slept, nothing would get done around the house. But seeing the amazing benefits of this sunnah and knowing how nothing gets done if your own energy levels are zero, I’d definitely suggest fitting even a 15-20min nap in your afternoons – especially if you’re waking up at Fajr time and not getting to sleep afterwards. Short mid day nap can seriously recharge you! Challenge 3 from *Strengthening Relationships* was “Sunnah Log” in #preRamadanProductivityCourse – (Building our love for Muhammad saws through seeking of knowledge and applying it in our lives). 1) A Year with the Prophet ﷺ by The Quantum Chronicles – a beautiful 52 week audio journey on the seerah. 10) The Prophet’s Pond by Learning Roots (not exactly a seerah book but a beautiful children’s story to grow Muhammad ﷺ‘s love in their hearts – and also to make you cry. The book triggers all kinds of emotions). 11) Goodword Books has a couple of children’s books on Prophet Muhammad ﷺ and his life. 12) I Love Muhammad SAW by The Odd Muslimah – children’s color and wipe board book (designed by us :D). Challenge 4 from *Goals and Dreams* category was “Skill Development” in #preRamadanProductivityCourse – (teaching old skills to others and learning new skills from others). For those who have the productivity journal, this exercise is on page 77. 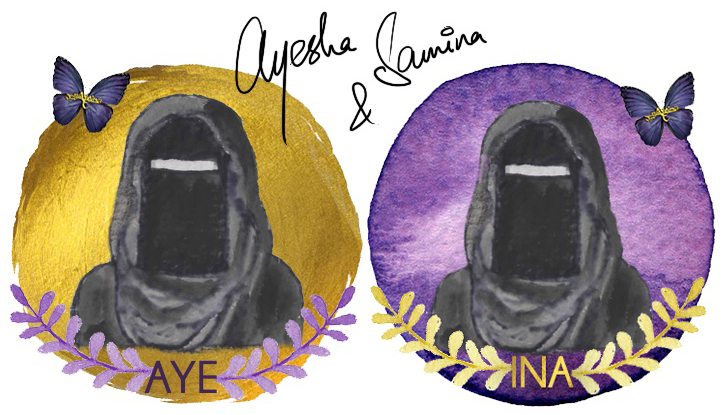 What skills do YOU have that you can convert into sadaqah jaariyah? And what can you learn to grow in life? 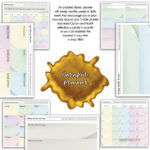 1 – Habit Tracker (color-code any habit/habits (sunnah) that you want to build up in your life through a daily tracker). 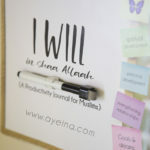 2 – motivational poster to go along with it (#iWILLinshaAllah) – I WILL in shaa Allaah be consistent in whatever I set my mind to! 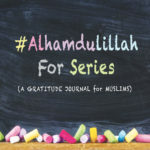 3-4 – Short ahadith (2 words – parts of ahadith (complete in meaning)) flash cards for kids (arabic and english). 5-9 – Arabic alphabet animal pack (5 A4 alif baa taa jpegs of flash cards and a full alif to yaa A4 poster). These plans are effective, if we follow them religiously. Looks like this productivity planning actually helps to prepare ourselves for the fasting month. Nice article, by the way. This is really well thought out & give a us NO excuses! Lovely idea, thanks for sharing this with us! 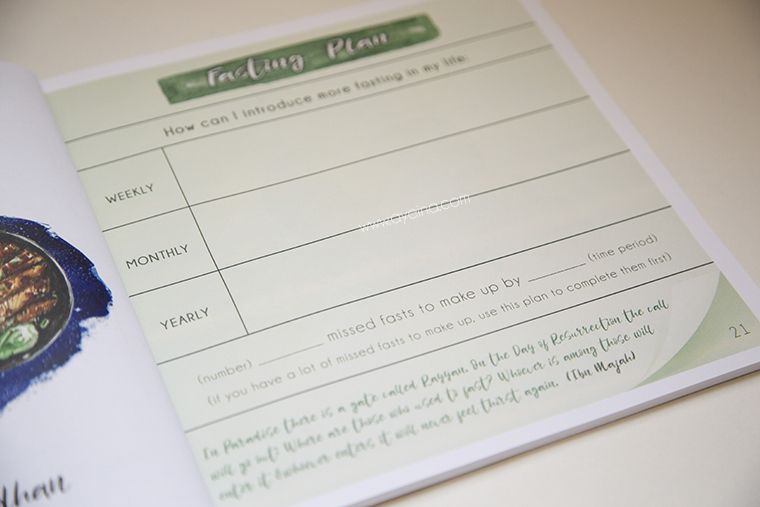 This is such a beneficial post and such a fantastic plan for Ramadan! Jazak’Allah Khayr for sharing!